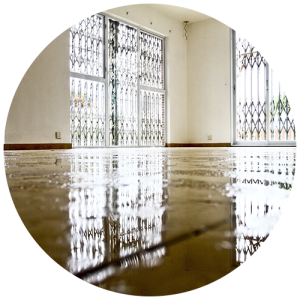 At Midwest Restoration Services in Batavia, we understand that water damage restoration is a time-sensitive process. No matter how much water has flooded your home or business, we understand that it can be difficult to know where to begin. We’ve helped hundreds of Illinois residents and commercial businesses quickly and efficiently restore their properties back to normal from water damage caused by floods, storms, and other unexpected events. The faster our restoration experts can get on site when there’s been water damage, the better our chances are of restoring your floors, carpets, walls, and personal belongings back to their original condition. We use state-of-the-art equipment and techniques to extract water from your property and cutting-edge dehumidification tools to quickly dry your home and belongings. If mold is beginning to grow in your property, we can help with that too! All of our restoration specialists are Indoor Air Quality Council (IAQC) certified and have the experience needed to execute effective mold remediation techniques. If your property has experienced any kind of water damage, then it’s important to begin the cleanup process as soon as possible. As professional restoration experts, we agree with the industry consensus that the first 24 to 48 hours are the most critical period of the process, as bacteria and mold will begin to grow soon after. Moreover, your property’s structure and contents have the highest chance of being restored if they are dried and treated quickly. The longer you wait to call a restoration company, the more extensive the damage will be and the longer it will take to return to normal. While we know that it can be tempting to enter your home and attempt to begin the cleanup process yourself, you should enter your home only when you have been given permission from the restoration company with whom you are working. Entering your home without permission can not only put your personal safety in jeopardy, but it can also cause even more damage to your home. Among numerous potential hazards, your floors may be so weakened that they cannot support your weight. If you must recover an item from your property, speak with a member of Midwest Restoration Services and we will provide you with instructions for your specific circumstances. At Midwest Restoration Services, we know how important it is to have a seamless and efficient relationship with insurance companies. You need quotes and information before you can begin the process of restoring your home, and we will happily work with insurance agents, adjusters, and any third-party administrators who are involved in the process to ensure that your property is at the top of their priority list. We understand that recovering from a natural disaster is a complex and stressful process, and our mission is to make it as easy as possible for our clients to get back to living their lives. Water damage cleanup and restoration can be difficult, but we’re here to help every step of the way. If you’re looking for the best and most dependable restoration company in Batavia, then contact Midwest Restoration Services today. We can handle all of your home and business restoration needs, from water damage to fire damage, and we can help restore your home and belongings from any disaster. We know that disasters never strike at a convenient time, so we’re available 24 hours a day, seven days a week to provide you with the assistance you need, right when you need it.